Okay, cards on the table: I’ve always liked the idea of the Euro. 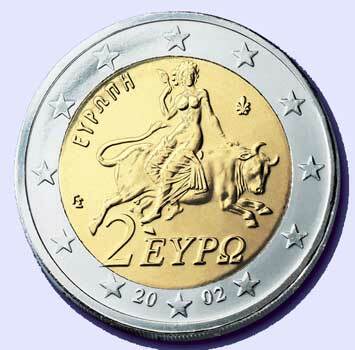 I have no more nostalgia for the lira, escudo and deutschmark than I have for the sovereign, or the louis d’or. And, after living for nearly six years in the heart of Burgundy, I believe in terroir and appellations. A glass of Volnay should taste recognizably different to a Pommard made from vines grown a few metres on the other side of the track. At least to someone with experience of both villages’ wines. So, in theory, at least, I believe in appellations. However… both the currency and the notion of regional designation are human concepts. And for that reason, they don’t work. The problem with the euro is that it cannot sustainably work for both tax-shy Greeks and industrious Germans. I’m writing this after recent encounters with two bottles of attractively labelled Rioja on sale in Spain for under €3.50, and one with a bottle of Marques de Murrieta Reserva costing over five times as much. The first two were near- worthless wines and the equivalent of Greek euros; the latter was absolutely delicious and, in Euro terms, had German quality and reliability stamped all over it. The inherent flaw in both appellations and the currency lies in the way they have been allowed to expand. When the first appellations contrôlées were created in the 1930s, the people behind them were mostly the best and best-known producers in their regions. As time moved on, the clubs they launched opened their doors to ever larger numbers of others who did not necessarily share their skills, values or aspirations. All too often the lowest common denominator gets the upper hand. This arc seems to be the destiny of almost every denominated wine region in the Old and New World. Anyone familiar with Margaux will be familiar with some chateau-owners in that commune’s tendency to demand the highest possible yield per hectare for their wines. Priorat was an irrelevant source of communion wine until Palacios and Barbier came along. Then, for a while, this region was transformed into a synonym for fine, expensive reds. Today, Palacios’s wines still command a healthy premium but anyone who wants to put a bottle of Priorat on their table should head straight for Lidl in Germany which offers a version at €4.85. Similar stories could be told of the late-comers in Marlborough in New Zealand who contributed to a collapse in the price of wines there. The only hopes for the Euro, the experts say, is either for all of the countries that use it to be obliged to work to the same strict set of rules ( through some form of central control) or for it to be limited to an inner core” of genuinely like-minded players. There are parallels in the wine world. The appellations that are most coherent are ones like Pauillac (limited in numbers, with shared ambitions and standards) and Buzet (one winery controlling most of the production). Elsewhere, producers try to create some coherence of their own within appellations (the Douro Boys in Portugal; Union des Grands Crus de Chablis in France; VdP in Germany). Alternatively, they do what several countries have chosen to do with regard to the Euro: they decide not to join. The premium, non-appellation Vinos de Tierra in Spain, IGTs in Italy and IGPs and (rather fewer, so far) Vins de France in France strike me as all being rather like the Swedish and Norwegian currencies, relying on their own strengths to survive. Or alternatively the problem lies in what people think “appellation” symbolises. If you believe that “appellation” is a guarantee for quality then you are wrong and have always been. But unfortunately that is something people believe and a misunderstanding that the guardians of appellations love to spread. It's like “organic” in a way. Organic only means that you follow certain rules that allows you to say you're organic. It's not necessarily better for the environement. Higher doses of copper and more tractor kilometers is better for the environment? Not obvious. And with appellations, that your vines are within certain geographic boundaries, that you follow certain practices etc is no guarantee for quality. Appellation does not mean quality. It only means “I follow the rules”. Nicely put. But your comment presumes knowledge on the part of the consumer. I've just returned from Spain where one of the people paying £1,500 for a week of food and wine timidly asked whether Rioja was a region or grape. We've done lots of research that confirms that my questioner was typical of large numbers of wine buyers – rather like the tea buyers who don't know the difference between Oolong and Lapsang Suchong. Confusion between brand, region and grape is widespread. Only one of these is likely to provide any kind of guarantee of style and quality. The wine world's answer is to call for more education. My proposal is to offer more clarity. fortunately or unfortunately wine and status are closely linked and people will pay the money on the basis of perceived quality or brand recognition rather than spend time learning about what they are drinking. The key (for me anyway) is to educate the consumer that Value for Money and quality wines are not always the cheapest but not budget crippling either. Most of my customers who were convinced they would never pay over £8 a bottle are now regularly paying 8-15 as they understand that their additional £3 investment will result in much more enjoyment. In short the dinner party set will always prefer chablis because of the prestige the brand/appellation offers and suppliers like myself must take up the challenge of creating an attractive alternative.